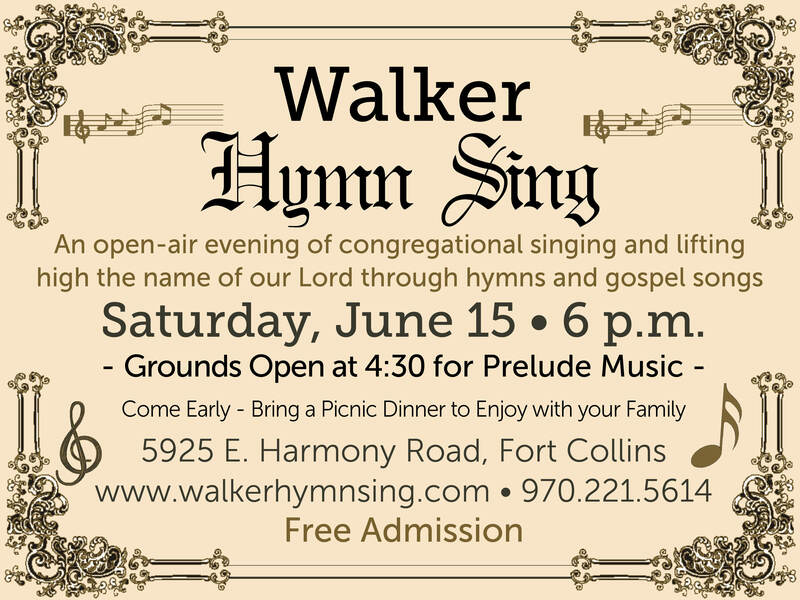 The 16th annual Walker Hymn Sing will take place on Saturday, June 15th. Gates open at 4:30 PM and Hymn Sing begins at 6:00 PM sharp. As always, admission is free! We encourage you to come early and bring your lawn chairs, blankets, and picnic dinner to enjoy while you fellowship with us. The Walker Hymn Sing is held on site at Walker Manufacturing Company. Location information is included below. If you have any questions you can always reference our Frequently Asked Questions page for more information. If you have not attended in the past, we hope you will join us for this wonderful event. Thank you to all those who attended the Hymn Sing and to all of our faithful volunteers who make it happen each year. We look forward to seeing you soon!